Please click on the boxes below to read more about the free digital health programs that we are currently offering to the general public via an evaluation study. You might even like to use the connect to practitioner feature within your program account. However, if you are unsure as to what program might be right for you, you can use the mental health symptom quizzes to help guide you. BDZ digital health is a 5 module web & mobile psycho-educational program that aims to help you to reduce & gradually withdraw from your benzodiazepine use. BDZ digital health provides you with information, strategies & tools to help you manage reduction and withdrawal side effects. BDZ digital health also includes a ‘mood and lifestyle self-monitoring system’ that can help you to better ‘see’ your progress as you are working though the program. You can also integrate a fitbit wearable device so that you can discover even more about yourself. We also encourage you to seek telephone support from Reconnexion: a service of EACH. If you live in Australia, you can also request that we add your healthcare practitioner to your program account. This means that you’ll be able to communicate with them securely through the platform and that they can view the BDZ digital health program and better monitor your progress. Watch the summary video below and click here to visit the BDZ digital health program website. The BDZ digital health program is available freely through participation in an evaluation study to Australian residents who are 18 years of age or older. CompassionateUs is an interactive compassion-focused wellness program which contains 5 compassion-based knowledge building modules and 5 compassion-based skill building modules. The skill building modules provides you with some brief background information and the instructions and tools (e.g., guided audios, video, digital self monitoring forms) to put the compassion-based skills into practise. We have also included a ‘mood and lifestyle events self monitoring system’ that can help you to better ‘see’ your progress as you are working though the program. The system also allows you to integrate fitbit wearable device information so that you can discover even more about yourself. If you live in Australia, you can also request that we add your healthcare practitioner to your program account. This means that you’ll be able to communicate with them securely through the platform and that they can view the CompassionateUs program and better monitor your progress. Watch the summary video below and click here to visit the CompassionateUs program website. The CompassionateUs program is available freely through participation in an evaluation study to people who are 18 years of age or older. Life Flex is a 7 module biopsychosocially-based web & mobile intervention program for anxiety and or depression. The major focus of the Life Flex program is teaching people how to respond more adaptively and flexibly to every day life – biologically, emotionally, cognitively (thinking) and behaviourally. Life Flex also focuses on increasing positive emotions and incorporates the concept of brain/neural plasticity. We have also included a ‘mood and lifestyle events self monitoring system’ that can help you to better ‘see’ your progress as you are working through the program. The program also allows you to connect a fitbit wearable device so that you can discover even more about yourself. If you live in Australia, you can also request that we add your healthcare practitioner to your program account. This means that you’ll be able to communicate with them securely through the platform and that they can view the Life Flex program and better monitor your progress. Watch the summary video below and click here to visit the Life Flex program website. The Life Flex program is available freely through participation in an evaluation study to people who are 18 years of age or older. Life Flex – LGBQ is a tailored version of the Life Flex program for lesbian, gay, bisexual or queer people. Life Flex is a 7 module biopsychosocially-based web & mobile intervention program for anxiety and or depression. The major focus of the Life Flex program is teaching people how to respond more adaptively and flexibly to every day life – biologically, emotionally, cognitively (thinking) and behaviourally. Life Flex also focuses on increasing positive emotions and incorporates the concept of brain/neural plasticity. We have also included a ‘mood and lifestyle events self monitoring system’ that can help you to better ‘see’ your progress as you are working through the program. The program also allows you to connect a fitbit wearable device so that you can discover even more about yourself. If you live in Australia, you can also request that we add your healthcare practitioner to your program account. This means that you’ll be able to communicate with them securely through the platform and that they can view the Life Flex – LGBQ program and better monitor your progress. Watch the summary video below and click here to visit the Life Flex – LGBQ program website. The Life Flex – LGBQ program is available freely through participation in an evaluation study to people who are 18 years of age or older. Life Flex 4 PTSD is a 7 module mobile & web biopsychosocial and cognitive behavioural intervention program for post traumatic stress symptoms. The Life Flex 4 PTSD modules focus on increasing biological, emotional, thinking, behavioural and wellness flexibility. Life Flex 4 PTSD also focuses on increasing positive emotions and incorporates the concept of brain/neural plasticity. We have also included a ‘mood and lifestyle self monitoring system’ that can help you to better ‘see’ your progress as you are working though the program. The program also allows you to integrate fitbit wearable device information so that you can discover even more about yourself. If you live in Australia, you can also request that we add your healthcare practitioner to your program account. This means that you’ll be able to communicate with them securely through the platform and that they can view the Life Flex 4 PTSD program and better monitor your progress. Watch the summary video below and click here to visit the Life Flex 4 PTSD program website. The Life Flex 4 PTSD program is available freely through participation in an evaluation study to people who are 18 years of age or older. iChooseWell is a comprehensive biopsychosocial strategies-based wellness program that contains 42 different strategies for you to choose from. Each strategy provides you with some brief background information and the instructions and tools (e.g., guided audios, video, digital self monitoring forms) to put the wellness strategy into practise. We have also included a ‘mood and lifestyle events self monitoring system’ that can help you to better ‘see’ your progress as you are working though the program. The system also allows you to integrate fitbit wearable device information so that you can discover even more about yourself. Watch the summary video below and click here to visit the iChooseWell program website. The iChooseWell program is available freely through participation in an evaluation study to people who are 18 years of age or older. iConsiderLife is a self-help, decision support crisis and suicide prevention digital health program. It is an ‘open-access’ single session program that has been developed to assist people who are currently experiencing distress or suicidal thoughts but feel unable to seek support through human interaction (e.g., speaking to a family member, healthcare professional, Lifeline, etc). iConsiderLife is a very simple program made up of six different ‘strategy’ pathways. Which pathway(s) a person goes down will depend on how they answer the questions presented to them. The answers to these questions assist in providing the person with the information and resources that are of most relevance to them. Our goal is to provide a space where people can access timely crisis support information, especially when they feel unable to seek human support, and you do not have to create a My Digital Health account to access it. Watch the video below and click here to visit the iConsiderLife program website. The iConsiderLife program is available freely through participation in an evaluation study to people who are 18 years of age or older. iMindTime is a comprehensive, but brief, 6 session digital health program, accessible via desktop, mobile or tablet. The six iMindTime sessions will teach you about mindfulness of breath, body sensations, emotions, sounds, thoughts, as well as loving kindness meditation. You will be provided with all the tools that you will need to undertake mindfulness practise and we have also included a ‘mood and lifestyle self-monitoring system’ that can help you to better ‘see’ your progress as you are working though the program. You can also integrate a FitBit wearable device so that you can discover even more about yourself. Start thinking, feeling and living more in the now. Watch the summary video below and click here to visit the iMindTime program website. The iMindTime program is available freely through participation in an evaluation study to people who are 18 years of age or older. iSleepWell is a 6 module mobile and web-based biopsychosocial and cognitive behavioural intervention program for insomnia. The modules provide psycho-education around biopsychosocial health, self monitoring of sleep, how to increase your sleep flexibility through sleep hygiene and sleep restriction strategies, how to enhance thinking and wellness flexibility (mind and body lifestyle interventions to decrease stress) and program consolidation and relapse prevention. We have also included a ‘mood and lifestyle self-monitoring system’ that can help you to better ‘see’ your progress as you are working though the program. You can also integrate a fitbit wearable device so that you can discover even more about yourself. If you live in Australia, you can also request that we add your healthcare practitioner to your program account. This means that you’ll be able to communicate with them securely through the platform and that they can view the iSleepWell program and better monitor your progress. Watch the summary video below and click here to visit the iSleepWell program website. The iSleepWell program is available freely through participation in an evaluation study to people who are 18 years of age or older. MonitorMe is a digital health program providing people with an interactive self-monitoring system accompanied with a decision support tool (to assist people when viewing their self-monitoring data) and strategy information modules. There are 42 biopsychosocial strategies modules to choose from and each strategy module provides you with some brief background information and the instructions and tools (e.g., guided audios, video, digital self monitoring forms) to put the wellness strategy into practise. MonitorMe can also monitor your self-monitoring scores and send you messages if you start to head off track. If you live in Australia, you can also request that we add your healthcare practitioner to your program account. This means that you’ll be able to communicate with them securely through the platform and that they can view the MonitorMe program and better monitor your progress. Watch the program summary video below and click here to visit the MonitorMe program website. The MonitorMe program is available freely through participation in an evaluation study to people who are 18 years of age or older. 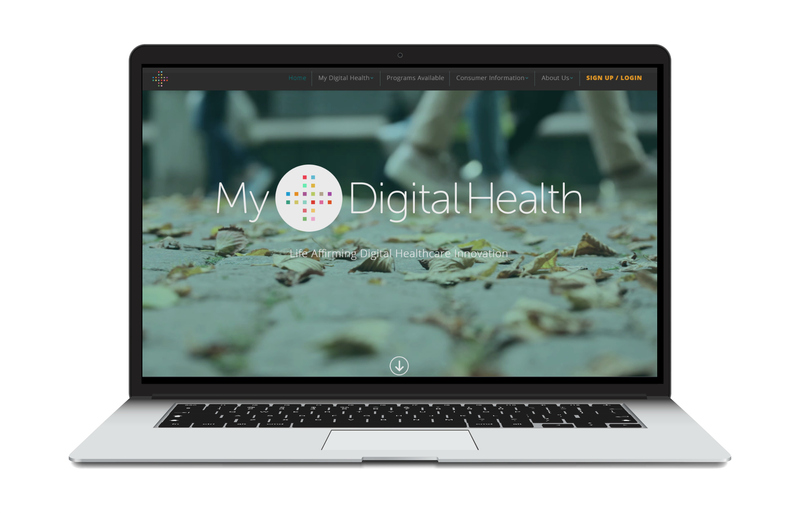 Each program sits within the My Digital Health dashboard, offering you additional tools and resources. Click here if you are interested in learning more about the My Digital Health dashboard and program features.